At Modular Cranes, we are specialist jib crane manufacturers. 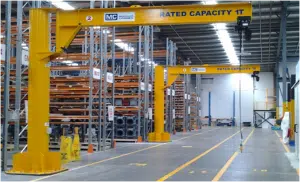 If you are looking for the best jib crane Australia has to offer, then you should be speaking to our team to ensure we can provide you with a system that will meet the specific requirements of your operational environment. We are committed to working closely with our clients to ensure that we fully understand your needs. As quality jib crane manufacturers, we understand the importance of providing you with products that will offer a safe, reliable, and durable solution. Our jib cranes are constructed with a horizontal beam – the jib – which is swung by a movable hoist. The whole construction is fixed to a wall or the ground by a mounted pillar. These cranes are well designed and easy to use. They offer flexibility in their installation and can be moved to a different area of the worksite without much difficulty. Our clients can use our jib cranes as stand-alone structures or in conjunction with other jibs and monorails. They have a load capacity of up to 3.2 tonnes, and they can be up to 6 meters in length, with a slewing range of up to 360 degrees. Area of rotation: Freestanding and mast style jib cranes provide users with 360 degrees rotation. Our wall-mounted cranes offer 200 degrees rotation. Jib Height: Distance from floor to underside of jib crane’s arm. Also, factor in hoist size and lifting height required. Overall jib crane height: Crane should be free from overhead obstructions. 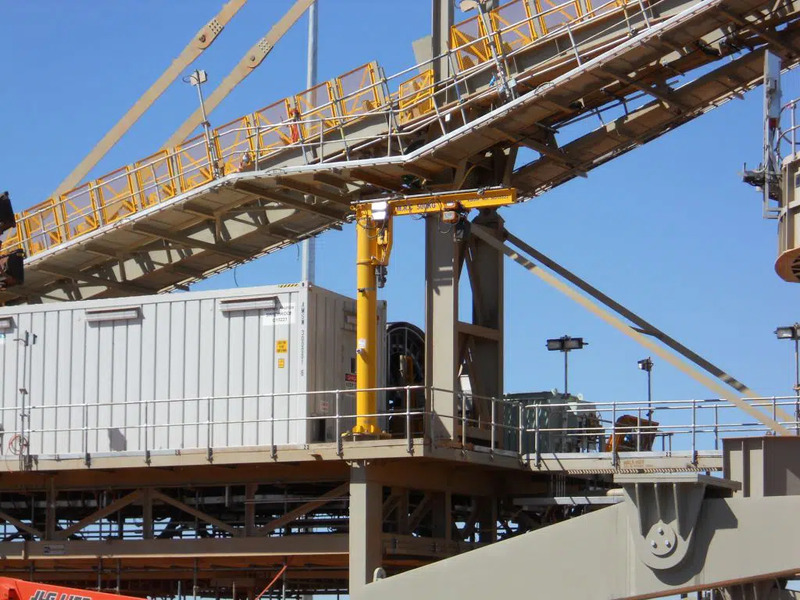 Power requirements: Does motor drive, trolley or hoist of your jib crane require power? Installation: Modular crane can review your application and, together with our engineering staff, make expert recommendations.